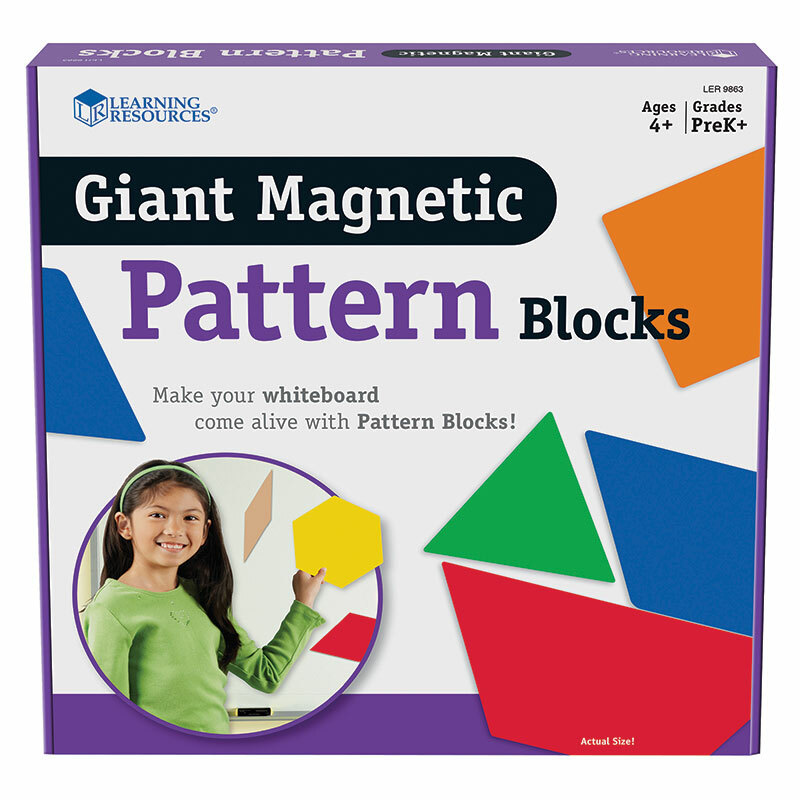 Reinforce shape recognition, symmetry, congruency, fractions, area and more! Perfect for demonstration, proportionately sized pieces are 3 times the length of standard pattern blocks on each side—and 9 times greater in total area! Largest piece (hexagon) measures 6".